The Ilocano Epic, "The Life of Lam-ang"
Perhaps even fewer people know that the Ilocanos have an epic which deserves a place beside Balagtas' "Florante and Laura", and a permanent place in our national literature. This poem is the "Life of Lam-ang", the only epic in the Ilocano language. Unfortunately for non-Ilocano and non-Spanish reading people, no translation of the poem in English or any of the native dialects exists. There are two Spanish translations, (3) both in prose: one (4) by Cecilio Apostol, and the other (5) by Isabelo de los Reyes. As in the case of the "Iliad" and the "Odyssey", controversy has arisen over the authorship of the poem. Some Ilocano writers hold that it was originally written by Pedro Bukaneg, but that after his death, together with his other writings, it was condemned and destroyed by the Spaniards, who were jealous of his fame. (6) Fortunately, however, the poem was preserved to posterity by contemporaries of Bukaneg who committed it to memory. It was handed down orally through many generations until it was again committed to writing by one C. Medina, a minor poet about whom little is known. 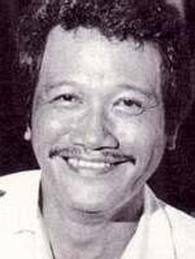 Others believe this Medina to be the real author of the poem, basing their contention on the alleged fact that of the four versions of the poem, Medina's is the oldest, and on the fact that Medina also wrote other romances in Ilocano. Still others hold that the "Life of Lam-ang" is not a literary but a popular epic, and not the work of one poet but of a bardic group. They believe that the epic was probably first composed some time during the seventeenth century, and underwent continuous growth and alteration from generation to generation until it reached its present form. Which of these three views is the true one, remains to be proved. In 1924 there were, according to the late Epifanio de los Santos, three versions (7) of the epic; namely, the C. Medina version, which is generally believed to be the oldest; the Isabelo de los Reyes (8) version; and the Parayno Hermanos (9) version, which is the most popular of all. In 1926 a new version appeared, the La Lucha, (10) considered to be the most literary. The first three differ from each other in form and thought only slightly. Except for the first three or four and the last two or three stanzas and some lines here and there, which are not worded identically, they are all alike, word for word. Only the La Lucha version differs from the other three to a rather marked degree. Its most distinguishing characteristic is the fact that it is written in the new orthography. The history of a man. A comparison of the two poems will reveal many striking differences. In purely literary value, the Ilocano does not equal the Tagalog poem. It has not the beauty and richness of expression, the nobility of sentiment, and the dignity of thought-essential qualities of all great poetry of the Tagalog poem. It does not frequently rise to lofty thought or feeling. It is written in much the same way as the familiar corridos (legendary and religious poems), the only big difference being that it is not an extravagant fantasia on a foreign theme. It is, unlike the popular corridos, "Bernardo Carpio" for one, genuinely native in atmosphere, in setting, and in characters. Another essential difference between the two poems lies in the theme. Balagtas' masterpiece is an attack, subtly disguised, on Spanish misrule in the Philippines; the Ilocano poem is purely legendary, its chief purpose is entertainment. The former is permeated with an intense feeling of patriotism (we were not aware of this and the highly seditious character of the poem until Epifanio de los Santos discovered and pointed it out); the latter is practically devoid of any patriotic feeling. The two poems, however, are similar in one thing: both are melodramas, both are "and- they-lived-happily-ever-after" stories. The epic is often sung to the tune of the dallot (16) during wedding and baptismal feasts among the peasantry, usually by old men who know the poem by heart. Many old men and women who can neither read nor write can recite it from beginning to end without error. It is popular among the common people, because it reflects the life, culture, and ideals of the ancient Ilocanos. It glorifies the inborn courage and bravery of the Ilocano, his valor as a fighter, his adventurous spirit, and his rugged honesty. Lam-ang, a youth of superhuman strength, is born to Don Juan and his wife Namongan, of the town of Nalbuan (somewhere in the valley of the Naguilian River, east of Naguilian, La Union), the richest native-born citizen in southern Ilocos. Still a babe but already possessed of tremendous strength, he sets out for the Igorot country, high up in the mountains to the east, in search of his father who, he learns from his mother, had departed for the high lands before his birth to fight the Igorots. On his way, he falls into a deep slumber and in a vision sees the Igorots, arch-enemies of the lowlanders, feasting around the head of his father whom they had murdered in cold blood. Reaching the land of the Igorots, he takes revenge, and alone, single-handed, engages practically the whole tribe in a bloody battle, from which, with the aid of his talismans, he emerges triumphant. He kills and maims thousands of the wild men -with his magic spear, and works such havoc and destruction that the land becomes a desolate waste. He returns home, satisfied that he has revenged the murder of his father, and goes bathing in the Amburayan River with a bevy of beautiful girls. His hair has become so dirty during his war against the Igorots that the bath the girls give him in the river kills many fish. He kills a huge crocodile after a hard-fought contest, and carries it victoriously ashore on his shoulders amid the plaudits of his girl companions. Having heard of a beautiful girl, Ines Kannoyan by name, of the town of Kalanutian (now a barrio of Sinait, Ilocos Sur), in northern Ilocos, he intimates to his mother his desire to visit the maiden and ask for her hand in marriage. He meets with discouragement from his mother, who tells him she does not believe Kannoyan would accept him as a husband because there are many other suitors, Spaniards, handsomer and richer than he. He nevertheless dons his best clothes, and, taking with him, among other things, his pet rooster and his hairy white dog, both endowed with such magic powers as those of divination and human speech, he sets out on his important quest. About the middle of the journey he meets Sumarang, one of the suitors of Kannoyan, who is returning home from Kalanutian. Sumarang tells him derisively that he had better not continue his journey, for Kannoyan would surely not accept the love of such a person as he. Lam-ang, keenly insulted, engages him in a duel. The fight at the beginning is about even, but gradually Lam-ang gets the better of his enemy, and in the end hurls him away over nine hills with his spear. Resuming his journey, he passes by the house of Saridandan, a woman of easy virtue who, with wiles and deceptions attempts to cajol him into remaining a while to partake of the buyo she says she has prepared especially for him. Lam-ang, however, refuses her, gently but firmly. When he reaches the home of Kannoyan, he finds a big gathering of suitors-wealthy natives and Spaniards from all over the region-entertaining themselves in the yard, so big a crowd that he can hardly manage to get through. Undismayed in his hope of winning her, he edges his way toward the house and bids his rooster to crow, and a small outhouse topples down. Disturbed by the noise, Kannoyan lays aside her work, looks out of the window, and sees the new suitor. In the meantime, his hairy white dog begins to bark, and in a moment the fallen building arises reconstructed. At the instance of her mother Unnayan, Kannoyan adorns herself and goes downstairs to bring Lam-ang in-a favor she has never shown to any other suitor. The other suitors look on crestfallen. Through his rooster, which does the speaking for him, Lam-ang makes known the reason for his coming. The parents (17) of the girl tell him they would give him their daughter in marriage if he can give a dowry equal to all their wealth. They show him their riches: utensils and furniture wrought in pure gold, and point to vast fields which they have inherited from their ancestors. Lam-ang tells them that all this wealth they are showing him represents only a small fraction of his riches. Satisfied, they grant his suit. Lam-ang goes home to Nalbuan to prepare himself for the wedding which is to take place at Kalanutian. He and his townspeople sail on two golden ships-tradeships owned by Lam-ang plying regularly between the Ilocos and China ports-for the home town of his bride. At Sabangan, (18) the port nearest Kalanutian, they fire a salvo to announce their arrival. They are warmly welcomed. The wedding, which is solemnized according to the rites of the Catholic church, is celebrated amid splendor befitting the two richest native families in the Ilocos. There is feasting and dancing, and much merriment. After the festivities the married pair, together with their townspeople, embark on the ships for Nalbuan, where the celebrations are resumed. Lam-ang undergoes one more crucial ordeal. Shortly after the departure of Kannoyan's people for their own town, he is informed by a town Capitan that it is now his turn to go fishing for oysters. He communicates to his wife a premonition that he will be killed and eaten by a monster fish. The premonition comes true, for he is devoured by a big fish called berkakan in the dialect. Lamang's rooster, however, assures the sorrow-stricken wife that her husband can be restored to life if all his bones are found. All the bones, fortunately, are recovered by a certain Marcos, a skilled driver. After a series of incantations performed by the rooster and the dog at which Kannoyan assists, Lam-ang is brought back to life. "And they lived happily ever after." (1) In addition to the material found in the references listed in the succeeding footnotes, valuable information on the Ilocano epic was furnished by the following gentlemen: the late Justice Ignacio Villamor; Mr. Luis Montilla, chief of the Filipiniana Division, National Library; Mr. Buenaventura J. Bello, vernacular poet and president of the Northern Colleges, Vigan, Ilocos Sur; Mr. Cecilio Apostol, author of a Spanish translation of the poem; and Mr. Jose Garvida Flores, Ilocano poet and managing editor of Daflgadang, Ilocano weekly published in Pasay, Rizal. (2) For a more detailed account of Bukaneg's life see "Historia de Ilocos", by Isabelo de los Reyes, vol. 2, pp. 63-64, Manila, 1890; "Pedro Bukaneg-A Philippine Moses", by Percy A. Hill, Philippine Magazine, June, 1931; and "The Greatest Ilocanos", by tne writer, Philippines Free Press, March 21, 1931. During their lifetime Pinpin and Bagongbata, Tagalog contemporaries of Bukaneg, did not attract the attention of people from outside the country as did Bukaneg. (3) Even these two translations are known to only a few literary men. One has never been published, and the other was published more than forty years ago. (4) Cecilio Apostol does not consider this translation exactly his own. He says that in 1918 the late Epifanio de los Santos asked him to correct a Spanish prose translation of the poem, of unknown authorship, a copy of which Mr. de los Santos furnished him with. Mr. Apostol gave the corrected copy to Mr. de los Santos, who kept it, withholding it for publication. According to Mr. Apostol the manuscript might possi- ly be found among the papers of the late Don Epifanio. If the original translation was not that by Isabelo de los Reyes, it must be the third Spanish translation of the poem. (5) This translation was published, together with the Ilocano original, as a supplement to "El Folklore Filipino", by Isabelo de los Reyes, Manila, 1890. (6) El Norte, a now defunct Ilocano periodical, stated in a biographical note on Bukaneg: "This is a brief account of the life of an Ilocano who wrote volumes of poetry, speeches, sermons, and essays in both Spanish and Ilocano. But all his works perished with him, for the Spaniards after his death published them under their own names and condemned all those published under his name." (7) See "A Guide to Ilocano Metrical Romances" (thesis for M. A. in English), by Juan T. Burgos, University of the Philippines. Manila, 1924. (8) Published, together with its prose translation in Spanish, in Isabelo de los Reyes' "El Folklore Filipino", Manila, 1890, and printed serially from December, 1889, to February, 1890, in El Ilocano, an Ilocano-Spanish fortnightly edited and published in Manila by Isabelo de los Reyes. (9) Parayno Hermanos is the name of a printing house in Calasiao, Pangasinan. Its version of the "Life of Lam-ang" has already gone through more than three editions-a proof of its popularity. The other versions have not seen a second edition. (10) This version was published serially from February 20 to June 5, 1926, in La Lucha (now Dangadang), an Ilocano weekly edited and published in Pasay, Rizal, by Santiago A. Fonacier. (11) and (12) Translations by Juan T. Burgos, "A Guide to Ilocano Metrical Romances", University of the Philippines, Manila, 1924. (13) "Florante and Laura", including the dedication to Celia and the poet's note to the reader, which consist of 28 stanzas, contains 424 four-line stanzas, making a total of 1696 lines. There are 12 syllables to a line. (14) This refers to that part of the story where, during the celebration of the wedding of the hero and the heroine, the bride and the bridegroom together with their parents leave their guests for a while and retire to a rest-house. The bride asks her husband to show her his manner of walking, reminding him that if she does not like the way he carries himself, she will return him to his mother. Her observations on her husband's defective walking and objectionable features reveal real wit and humor. (15) Cecilio Apostol, the late Justice Ignacio Villamor, Buenaventura J. Bello, president, Northern Colleges, Vigan, Ilocos Sur, Leon C. Pichay, Ilocano poet of note, Luis Montilla, chief, Filipiniana Division, National Library, and Jose Garvida Flores, managing editor of the Ilocano weekly Dangadang (formerly La Lucha), Pasay, Rizal-all of them believe that the "Life of Lam-ang", though as a literary piece inferior to "Florante and Laura", has as much right to be called an epic as the Tag. log poem. (16) An extemporized song with an ancient air, still popular today, peculiar to the Ilocano peasantry. The singer is accompanied on a guitar or kutibeng. (17) Curiously enough, the poem does not give the name of Kannoyan's father, while it gives the name of the mother and the names of both of Lam- ang's parents. (18) This place still bears the same name today. It is the safest port of Sinait, Ilocos Sur. The Heroine of the Ilocano Epic, "The Life of Lam-ang"